Strep throat leads to inflammation in the throat which results in severe soreness. This mainly occurs due to certain bacterial infection in the throat and the tonsils. 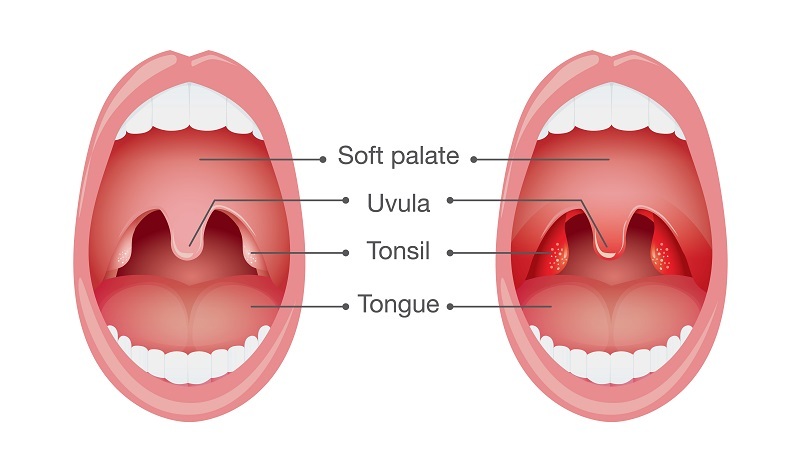 The image shows the difference between a normal throat and a sore throat (due to tonsillitis). During tonsillitis, two lymph nodes located on each side of the back of the throat (known as tonsils) become infected and swollen. These infected tonsils may develop white or yellow spots and cause sore throat. Sore throat causes pain, swelling or scratchiness of the throat that often worsens. One of the reasons of a sore throat that is commonly observed is flu and cold. Therefore, many people ignore strep throat symptoms because they appear similar to that in common cold. 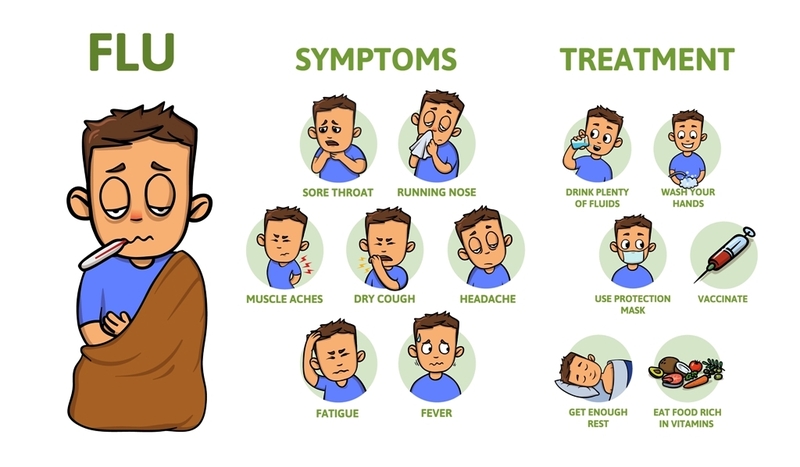 However, strep throat, which is an infection due to streptococcus bacteria, is also another cause of sore throats and tonsillitis. Strep throat can be highly contagious and the infection can easily spread through sneezing, coughing, or shaking hands. Antibiotics provide relief during strep throat and kill the infection. Drinking plenty of fluids, resting enough, using protection mask, etc reduce the chances of spreading of infection. The name 'strep' throat comes from the type of bacteria that is known to cause the infection, Group A Streptococcus (GAS). The infection is identified by the presence of certain specific symptoms. These symptoms vary depending upon the causative agent. 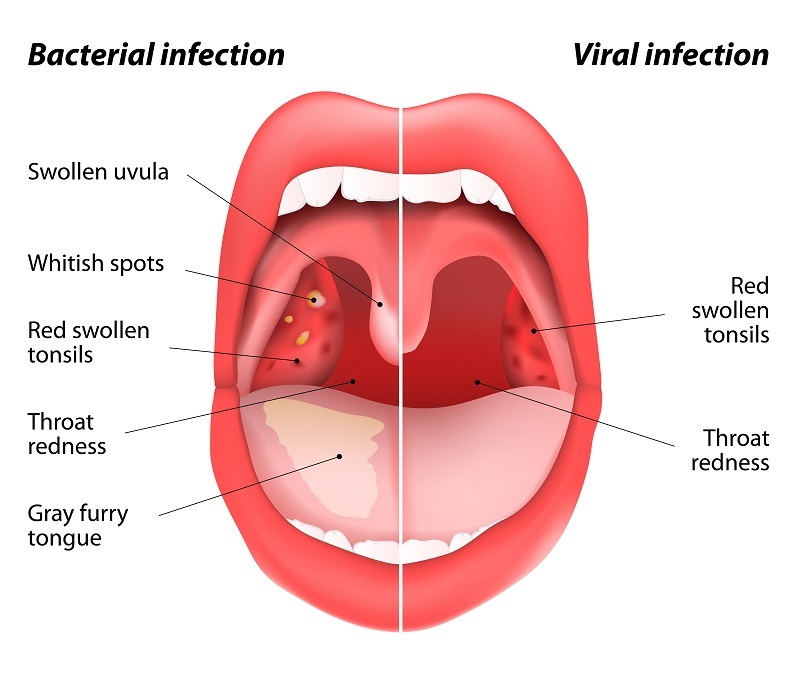 A bacterial infection produces signs of throat redness and swollen uvula in the mouth, whereas a viral infection leads to swollen tonsils. The symptoms may include irritation, redness, and the build-up of pus in the back of the throat in some cases. The voice box is present in front of the neck and contains the vocal cords. The larynx is responsible for sound production and swallowing. It is also the entrance to the windpipe, and plays a critical role in the airway. This is a picture of a man who is suffering from sore throat. A sore throat is pain, scratchiness or irritation of the throat. The most common cause of sore throat (pharyngitis) is a viral infection, such as a cold or flu. 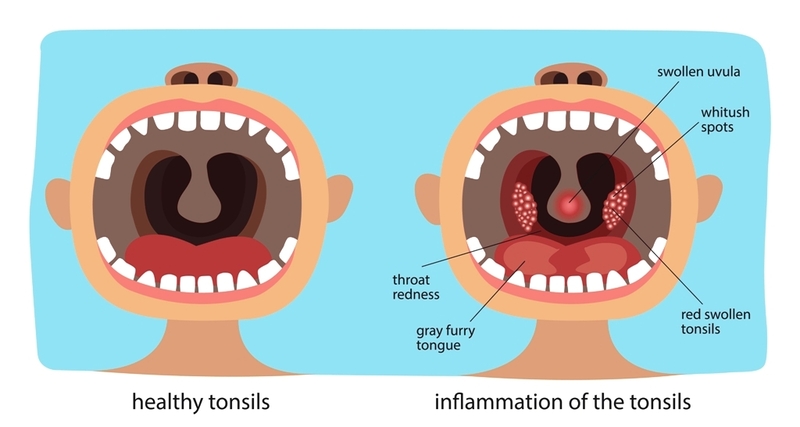 Tonsillitis is defined as inflammation of the tonsils due to bacterial or viral infection. Typical symptoms include sore throat, swollen tonsils, difficulty swallowing, fever, and swollen glands in the neck.